The leather boots that give comfort, support and elegance to any hiking trip, even if it’s gonna take a life time to finish the hiking! Nothing screams better "durability" than handmade, European, seamless stitches, and nothing smells better than real leather. 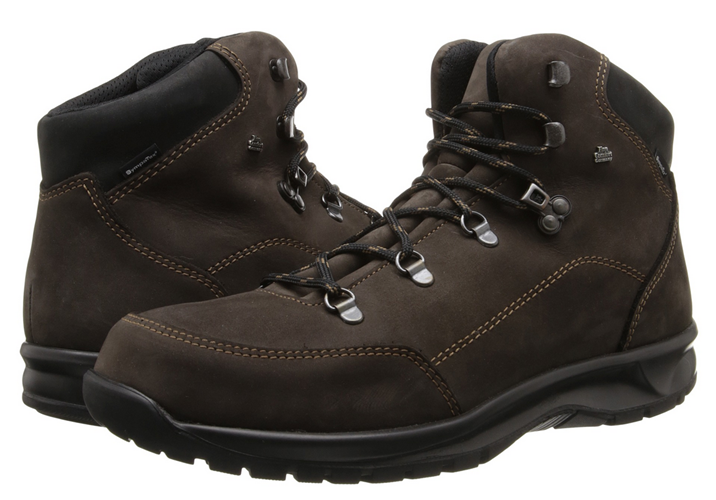 When European unisex hiking boots meet the American hiker’s needs! I don’t like the smell of synthetic boots and I always try to find leather boots- they smell so fine! But finding the right pair of leather hiking boots might become quite a challenge- they still have to provide comfort, support, confidence, no matter how tough the trail gets. The boots are made in Europe, wonderfully hand-made, with hand-stitched seams that are very soft and don’t feel at all. 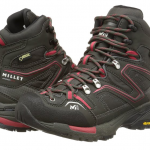 The boots are waterproof and have a windproof construction as well. The sizing is good, the boots are a great fit and I can wear medium thick socks in them. What I like also about these leather boots is their long lifespan and high durability- I have been using them almost daily (I do take them to work also) and they still look brand new. The boots have removable insoles that can be easily hand washed. They feel lightweight, are flexible and yet sturdy, no matter how tough the trail gets. The grip is good on the boots as is the traction. The toe cap is flexible and there are no pressure points in these boots. The concave heel design is efficient and the cushioning gives more comfort on the walk. The reinforced heel counter provides a secure fit and the D-ring lace-up closure contributes to that also. The tread is solid, making the boots more stable. The shock-absorbent outsole has been very useful on so many hikes, protecting my feet from sharp rocks. The lacing and the tongue protect the feet against the elements, as there is no debris or small rocks getting inside the boots. I had only some minor issues with these boots. The top of the boots feels a bit stiff in the beginning- but they are made of leather, and will break in. The boots are not very warm in the coldest weather, but this depends on how sensitive to cold you are. All in all, I still love these boots and I am happy for having them. All year long.